It’s so incredibly fun to get crafty at Christmas time! 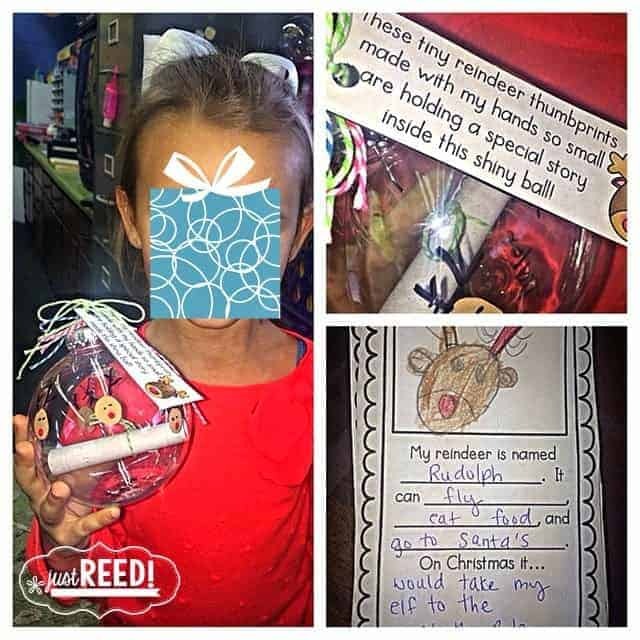 From parent gifts made by your students, to gifts you make to give your littles, I just love getting crafty for the holidays! 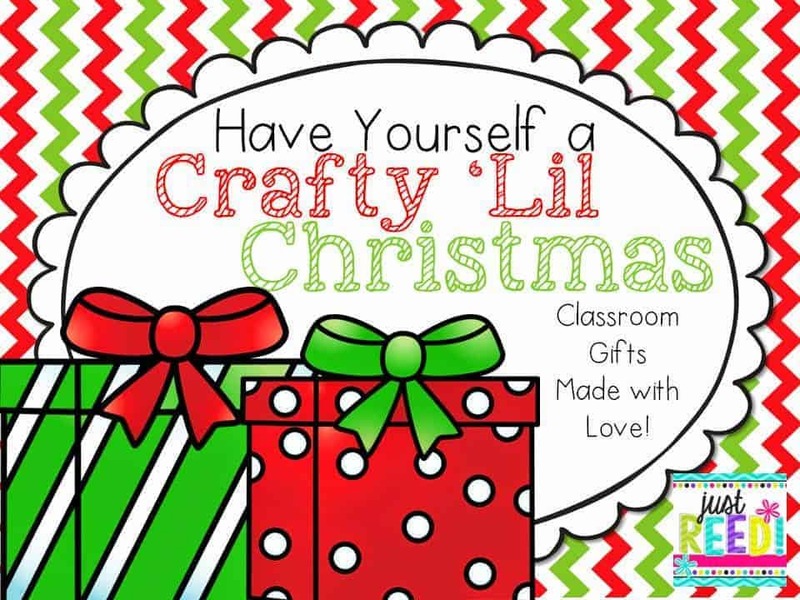 I’m going to show you my craftiness this holiday season, and I’d love for you to link up with your classroom gift ideas for teachers and students! Feel free to share templates, gift tags, etc. as I have done! Here’s a peek at the adorable gifts we gave our parents this year! Kindergarten is such a special year that I wanted to make some keepsake type gifts. 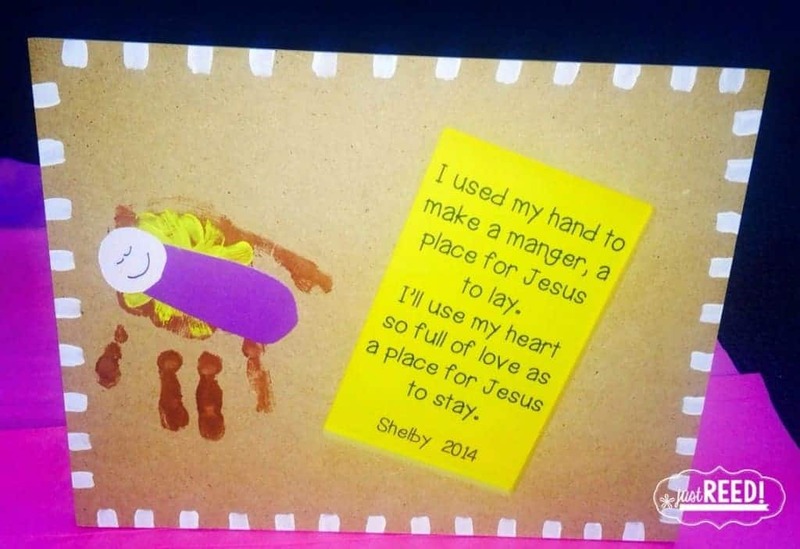 Also, since I teach at a Christian school we were able to make a religious craft as well! This was by far my FAVORITE! My hubby cut out 3×3 blocks, painted them white, and distressed them. I used picmonkey.com to edit the pictures and make the kids into reindeer, elves, or Santa. I had them use their own handwriting and “practice spelling” to write on thing they’re wishing for. Then I tied colorful bakers twine into a bow and attached to the top! I found these adorable rustic frames at Hobby Lobby. I’m not sure who wrote the poem…I found it on pinterest! This was a special gift! 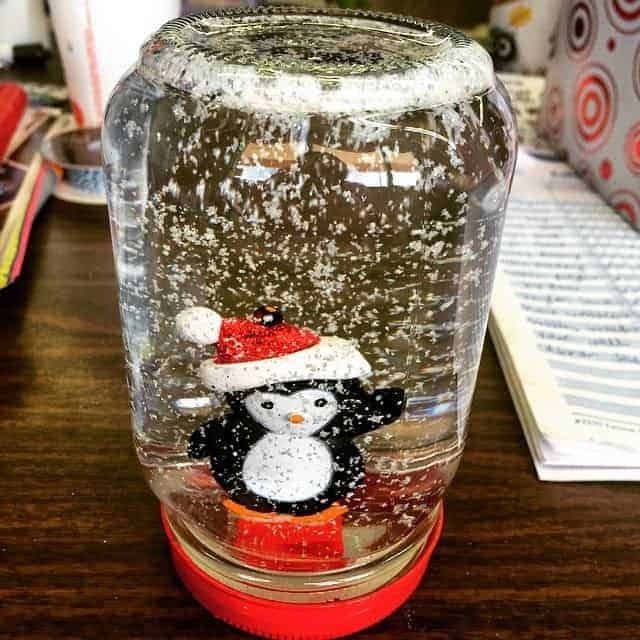 At our Christmas party we made snow globes for our parents! This activity was led by one of my parents. You spray paint the mason jar lids red, use gorilla glue to attach an ornament to the lid, and add water, liquid glycerin, and glitter. The kids LOVED these! 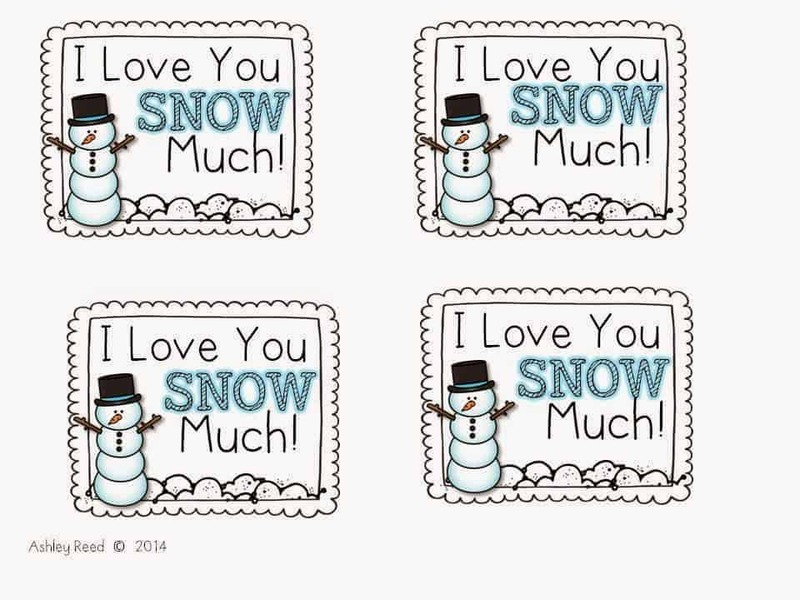 I created some cute labels you can attach to your own snowglobes! For my kiddos, I bought Peeps “lollipops” and attached these cute cards. They loved them!! Want the FREE templates for ALL the gifts featured above? Click the gift below to download the Google file! Enjoy!! 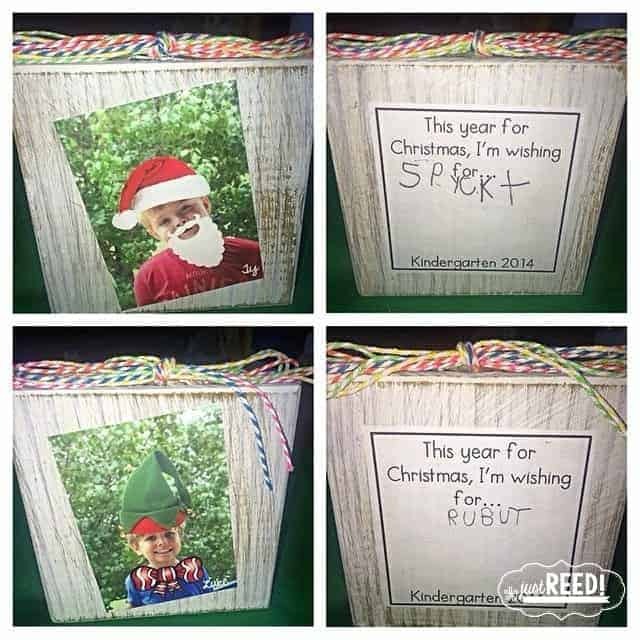 Now, how about linking up and sharing your classroom Christmas crafts! Use this button and attach your link below! 🙂 Merry Christmas! !